Small bands in Milwaukee, Wisconsin are custom designed bands to fit your specific needs. They can range in size from a soloist up to 8 instrumentalists and 2 vocalists. Need atmosphere music during dinner or cocktails? Having an indoor house party? I have soloists, duos, trios and quartets for that very purpose. 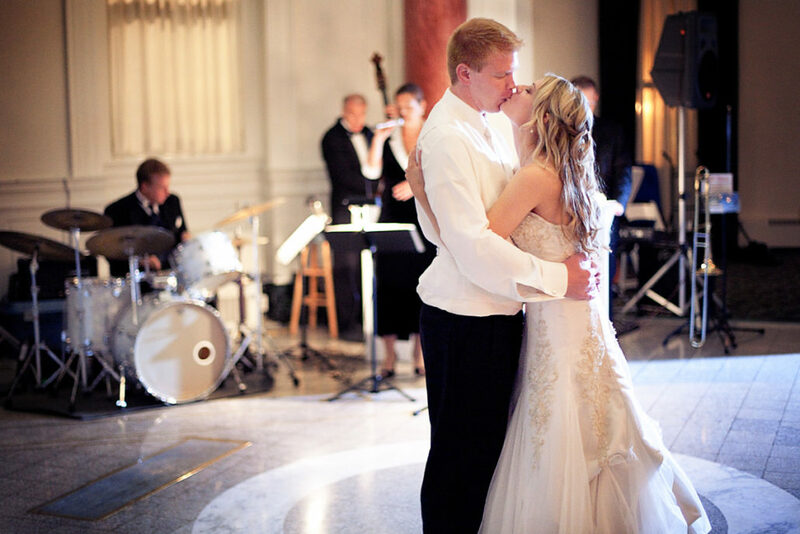 These small custom bands focus on the classy music like Frank Sinatra and Ella Fitzgerald while performing the classic standards from swing, jazz, big band and Broadway show tunes. You’ll hear songs from America’s greatest composers like Duke Ellington, George Gershwin, Cole Porter, Irving Berlin, Rogers & Hart, and Glenn Miller. Our custom small bands do not perform any contemporary or varieties of music not listed above. The largest versions of my custom bands can perform a wider variety of musical genres.